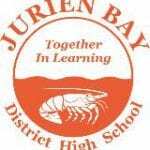 Thank you to Andrew & Nicole @ Just Group Accommodation for your excellent & friendly assistance helping our school Jurien Bay District High School. Andrew & Nicole went out of their way to get us a great deal on accommodation & meals for our staff & students while staying in Perth for Country Week. I recommend them to any group looking for a great deal. A job well done Andrew & Nicole thank you.